There are loads of books about how to play the ukulele, aimed at learners of all different abilities. Many books are aimed at beginners, and there are also some written especially for children. These attempt to make the learning process as fun and easy as possible, so your child doesn’t want to give up after a few weeks. You should think about the style of music your child wants to play and what their skill level is before choosing them a book. 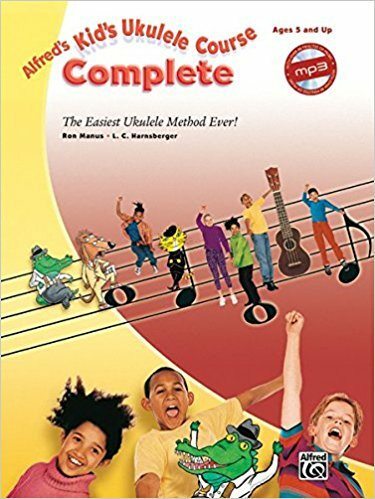 One of the most comprehensive guides to take your child from complete beginner to intermediate level is Alfred’s Kid’s Complete Ukulele Course. It is supposedly the easiest method ever to learn to play a ukulele, suitable for kids aged as young as 3 years old. The book includes access to online audio to complement your child’s learning. There are fun characters throughout the book to show your child important points and keep them engaged. 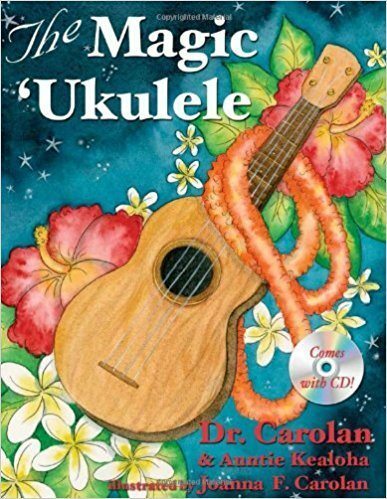 ‘The Magic Ukulele’ is another great book for children learning to play an instrument for the first time. It includes a CD and features many colorful drawings sure to captivate your child and keep them interested. The book is targeted at children due to the style of writing and makes learning fun and interesting so they don’t get bored and give up. The chord charts are brightly colored and easy to follow, so your child will be learning to play some great tunes in no time at all. 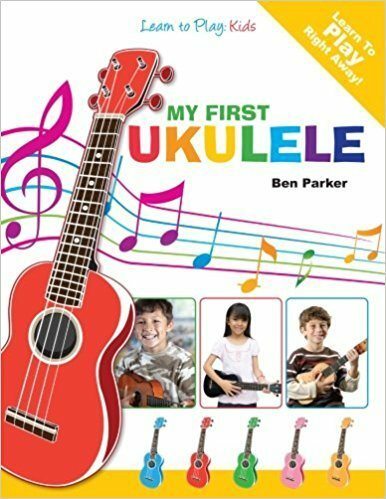 Another great choice for young children who are starting out with the ukulele is ‘My First Ukulele’ from Ben Parker. This book doesn’t include any sheet music, instead of using easy to follow photographs and diagrams, to make things simple for young children. It features simple exercises to build basic skills, and easy, fun songs for your child to learn. The only thing is to make sure and buy a great ukulele for your child. 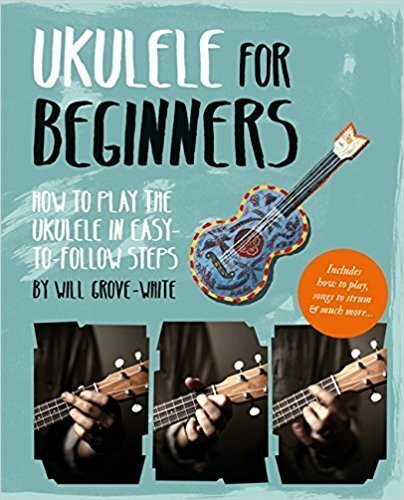 For older children who are learning to play, but also want to know more about the history of the instrument, try ‘Ukulele for Beginners’, by Will Grove-White. This comprehensive guide teaches you everything you need to know about the ukulele from beginner techniques to chords and songs to learn. It also comes with a chord dictionary which can be kept handy to be referred to when playing any song. There is also information about famous uke players for kids who really want to know everything about their new instrument. 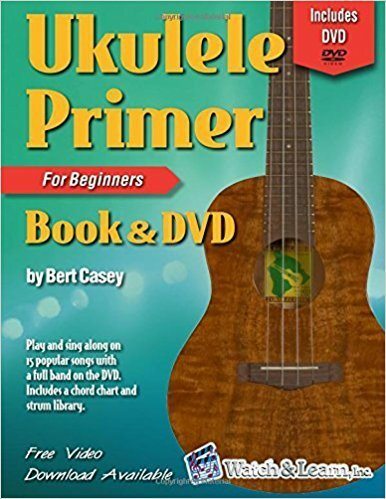 The Ukulele Primer book is another great choice for those with no prior experience. The book comes with a DVD, so it’s perfect for those who prefer to learn by watching. This makes it great for children, as it is often easier to learn from a video than reading a book, especially if their reading skills are not advanced yet. 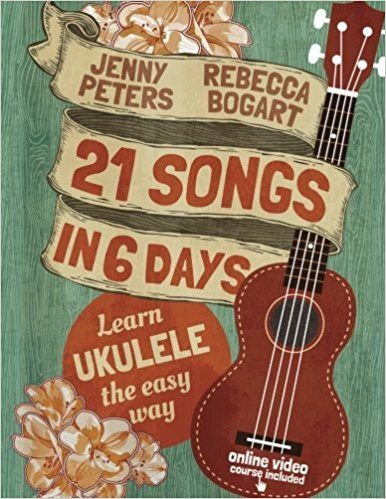 The book teaches everything a beginner needs to know about the ukulele, from tuning to hand positioning. It also features photographs throughout to help you out, and teaches you the chords for several popular songs – there’s sure to be something your child is familiar with. For kids who just want to start learning songs straight away, ’21 Songs in 6 Days’ is a great choice. The book also includes access to online videos, so it’s great for kids. The easiest songs in the book only use one chord, which is great for building confidence. Even those who have never picked up a musical instrument before will be able to play these easy songs in a day. Many of the songs in the book are kids’ songs, so your child is sure to know many of them which will make learning even easier. Someone else can sing along as they play to make learning even more fun and enjoyable for the whole family. For those who already know a few chords and want to learn some great songs, look no further than ‘Children’s Songs – Ukulele Chord Songbook’. 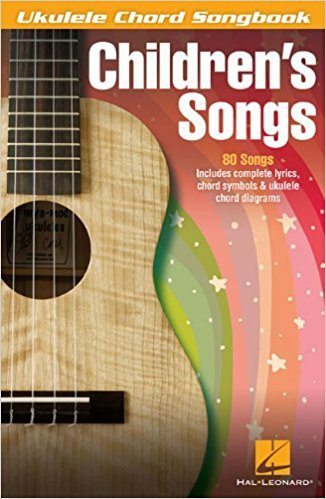 This great book features the chords for 80 popular children’s songs, so your child is sure to recognize several of the tunes. This makes learning easy and fun as your child will be able to impress their friends or ask them to guess the song. It’s also great for parents to learn, to play songs for their kids to help them become motivated to learn. The book is great for using at family get-togethers where everyone can get their instruments out and have a sing-along!